What Can A Collector Do to a Phoenix Debtor? Home/Debt Collection/What Can A Collector Do to a Phoenix Debtor? At Phoenix Fresh Start Bankruptcy, we often have to remind our clients that they aren’t deadbeat. Most of our Phoenix area bankruptcy clients got in debt due to circumstances largely beyond their control. The most common culprits keeping our clients from being able to pay their debts are medical problems, relationship breakups, job loss, layoffs and divorce. Creditors know this and it’s not their job to care, their only focus is to get you to pay them rather than someone else. Your job is to make the right calls for you and your family. Never allow debt collectors to pressure you or force you into making bad decisions about which debts to pay off. There are real limits on what a debt collector may do and there are at least eight legal ways to stop debt harassment. The vast majority of debts are unsecured. You do not put up any of your personal or real property as collateral for for medical bills, credit card debts or utility charges. Because there is nothing for the creditor to seize, its options are pretty limited. Your creditor can report the delinquent debt so the delinquent status shows up on your credit records. Fact is that if they do this, the damage has already been done. At least in the short run, paying off the debt now is probably not going to do much to improve your score. Your creditor can stop doing business with you, but you can find someone else. Your creditor can contact you to ask you to pay. Below you will find several different sample letters that are useful in getting a debt collector to cease contacting you if you want to avoid debt harassment. Federal law bars third-party collectors from telling third parties, such as your relatives, employers or friends about any debt they allege that you owe. Your creditor can file a lawsuit. Unfortunately it is nearly impossible to figure out which of your creditors will actually take a past-due debt to the litigation stage. How aggressively a collection agency threatens suit is not a reliable indicator of which creditor is likely to sue. Often it is the quiet creditor that you have not heard from in years that serves you at your home. In any event, once your creditor files a complaint, you have a right to respond and raise defenses. Doing so may stop the creditor from pursuing the case. A bankruptcy filing will kill the lawsuit completely. However, failing to respond to a lawsuit or file a bankruptcy to kill it will result in a default judgment for your creditor plaintiff. If the creditor does obtain a judgment, your creditor may now use powerful collections tools that are likely to disrupt your life such as wage garnishment or bank account levy. A bankruptcy filed after judgment is entered will still eliminate the debt and bar your creditor from garnishing or levying anything. 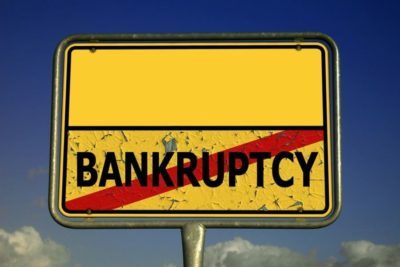 If collectors are bothering you, you likely have reached the stage where you should be taking at least a serious look at filing bankruptcy. If you would like some help assessing your debt situation, please set up an in person or video appointment with us at Phoenix Fresh Start Bankruptcy. We would be happy to help and look forward to connecting with you. How Long Can Debt Collectors Come After Me?